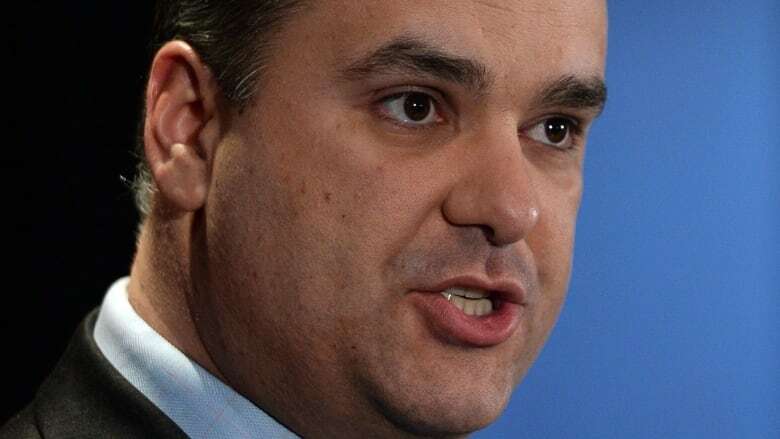 Federal Industry Minister James Moore says taxpayers shouldn't be on the hook for cleaning up a massive spill from a mine tailings pond in British Columbia. tailings pond in British Columbia. 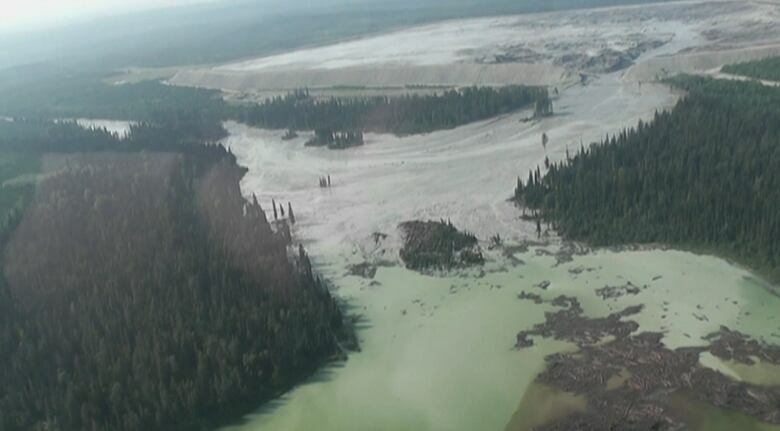 Water and silt gushed into nearby lakes and creeks when a tailings dam at the Mount Polley Mine in B.C. 's Cariboo region burst open on Monday, though officials are still assessing the impact of the spill. Federal Industry Minister James Moore, who is also the Conservatives' minister for B.C., describes the tailings pond breach as "terrible" and he says it underscores the need for effective regulation and monitoring. Moore, who was speaking at an unrelated event in Montreal, says whoever is responsible should pay for the disaster, but it shouldn't fall to taxpayers. He says lessons must be learned from the breach to ensure resource industries operate responsibly. B.C. Premier Christy Clark is heading to the nearly town of Likely near the mine site today as residents await the first results from water quality tests.